The new Sega Ages series is an upcoming line of digital rereleases of classic Sega games for the Nintendo Switch. The series is being handled by the masters at M2, who were also responsible for the excellent Sega 3D Classics line for the Nintendo 3DS. So far the lineup includes Sonic and Thunder Force IV for the Genesis, Phantasy Star and Alex Kidd for the Master System, and Gain Ground for arcades. Includes the ability to use the spindash and the new dropdash from Sonic Mania. The level select can be easily accessed without a code. Along with the international version and the Japanese version (with the additional parallax scrolling), it will also include the arcade Mega Play version! Mega Play was a system that allowed Genesis games to be played in arcades, similar to Nintendo's PlayChoice-10. The arcade version of Sonic is largely similar to the home version, except with fewer levels and a much harsher time limit. Ring Keep Mode, which was first introduced in 3D Sonic the Hedgehog 2. 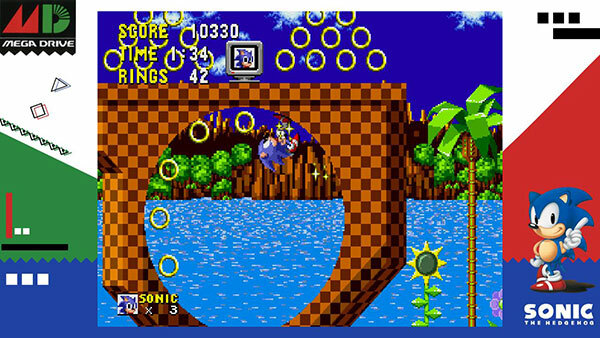 This mode starts Sonic with 10 rings and halves the number of rings lost when hit. Challenge Mode, which offers two challenges. One is a time attack for Green Hill Zone, Act 1. The other is a score attack mode for the Mega Play version, where one mistake ends the challenge. Both challenges have world rankings. I'm sure many are wondering, "why are they doing this instead of porting the mobile remake?" Well... who knows. But M2 still does great work, and I'm sure this will still be a great port of Sonic 1, even if it is the 500th one.